The business process outsourcing (BPO) in the Philippines has been slowly turning into a household name. When the overhead cost of the company becomes unbearable, they might consider outsourcing jobs that require minimal customer interaction. Paper works that consume much time to perform can be outsourced, too. A lot of tasks, particularly those that belong to the back office, can be outsourced to minimize the expenses a company may incur. 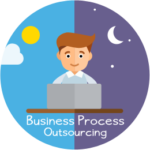 Back office outsourcing is a type of service provided under the business process outsourcing that focuses on non-core tasks such as finance, logistics, accounting, and human resources. Other companies include other activities that are monotonous such as making telephone calls, advertising schemes, and other routine jobs. These tasks were considered back-office tasks because they are done behind the curtains without the customers noticing them. Back-office tasks are time consuming and they often involve several paper works. Choosing to outsource these tasks helps companies lower down their labor costs and, at the same time, have their paper works done by professionals. In the rapid growth of a company, the amount of their paper work also increases. In due time, the company will need to hire additional employees to perform certain back-office tasks. Hiring additional manpower can be costly since the hiring process and payroll both consumes money. Simple routine jobs can be easily outsourced since they are not the core activities of a business. Furthermore, the time spent on performing usual paper works can now be allotted in other tasks that are important to the business without sacrificing the quality or the service in the back-office. The cost efficiency of having your back office activities outsourced is about 40%-50% and can further increase the proficiency of the employees in performing other tasks. The increase in productivity among employees can be attributed to the fact that they can now focus on performing core tasks relevant to the business. Moreover, back-office tasks are monotonous in nature and your employees are spared from doing routine jobs. In order to gain a competitive edge against their competitors, other companies opt for back office outsourcing. This gives them enough time to perform and to focus on the core activities of their businesses. In this way, companies are able to create and improve tasks and skills that are oftentimes neglected. Also it provides them with a differential advantage, making them one step ahead of their competitors. 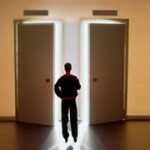 Aside from the benefits gained by employees whose companies’ chose back office outsourcing, a company benefits, as well. Outsourcing is an effective way of saving and gaining profit. The cost that a company may incur by outsourcing is lesser compared to the accumulated cost of in-house employees who perform the same work. Moreover, the time spent in doing tasks is comparably lower. The tasks that different firms chose to outsource are done by professional employees specializing on the job. That’s why companies are assured that the back office outsourcing is done efficiently. Currently, few BPO players in the Philippines provide back office outsourcing. Richard Eldridge, Co-founder of Infinit-O, a multinational back-office and knowledge process outsourcing provider, estimated the number to be about 10-15 companies in 2008. Are BPO Companies in the Philippines Here to Stay? You Should Outsource Customer Support, Too! Outsourcing Firms: Growth or Labor Exploitation?